If you experience sleep apnea, sleep narcolepsy, or shift work sleep disorder, staying awake can be an exhausting chore. Be aware that your symptoms can overtake you anywhere, from your workplace to your dinner table. When your brain is not fully awake, you are more prone to making serious mistakes – even fatal ones – that don’t just affect yourself but your loved ones or coworkers. Provigil side effects can vary from person to person. If you experience side effects which affect your health or lifestyle, speak to your doctor. You do not have to live with these symptoms or their consequences. Modafinil, commonly known as Provigil, is a drug that encourages wakefulness. 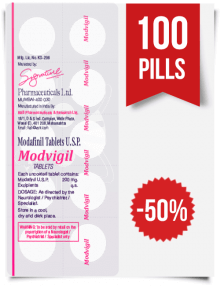 Provigil can help stop you from having daytime or worktime sleepiness, fatigue, or lethargy because of your illness. With Provigil, adults with these issues can begin to live normally. 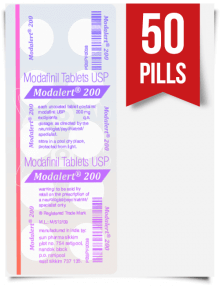 Depending on what you are planning to take Provigil for, the Modafinil dosage strengths can vary – but 200mg is the most often recommended dosage for adults. 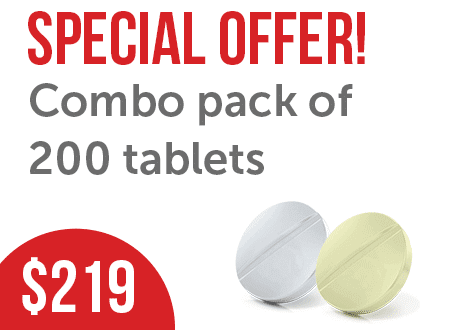 Provigil is meant to be taken orally, and can be found in a 100 mg tab and 200 mg tablet forms. For most patients, Provigil is meant to be taken in the morning (or shortly before your day starts, no matter what the hour is – common for shift workers), but your doctor may adjust your treatment plan depending on your symptoms and schedule. 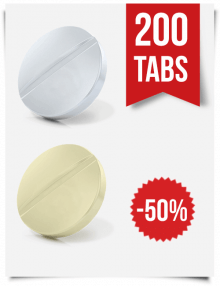 If you are using Provigil or a similar generic to treat shift work sleep disorder or chronic fatigue syndrome, it is recommended that you take a 200mg tab an hour prior to beginning work. This allows your body to absorb the drug so it can start working. If you administer the drug too close to when you begin work, it may taken some time before the drug take full effect, which can be dangerous and unproductive. For those using Provigil for narcolepsy, a dosage of 200mg is advised. 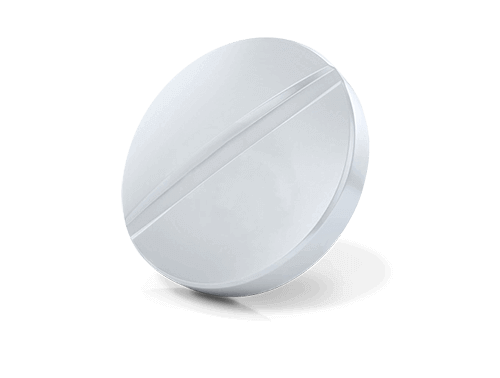 This drug is taken orally; time to absorb can be up to an hour. If the drug does not take immediate effect, do not ingest more. 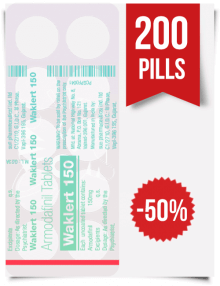 Once the medication is absorbed properly, it will work quickly and you will feel more alert and awake. For those taking Provigil for shift work disorder, it is recommended that you start with a 200mg dose one hour before you commence work. If you are suffering from obstructive sleep apnea, a doctor may prescribe up to a 200mg tab daily as a treatment option. If your doctor prescribes more, watch closely for side effects. If you experience heightened side effects, stop taking Provigil and contact a doctor as soon as possible. Like every other drug, overdosing on Provigil is possible if directions are not followed to the letter. It is not advisable to take more than the maximum dose at any time; even if the side effects are not fatal, they can be severe. 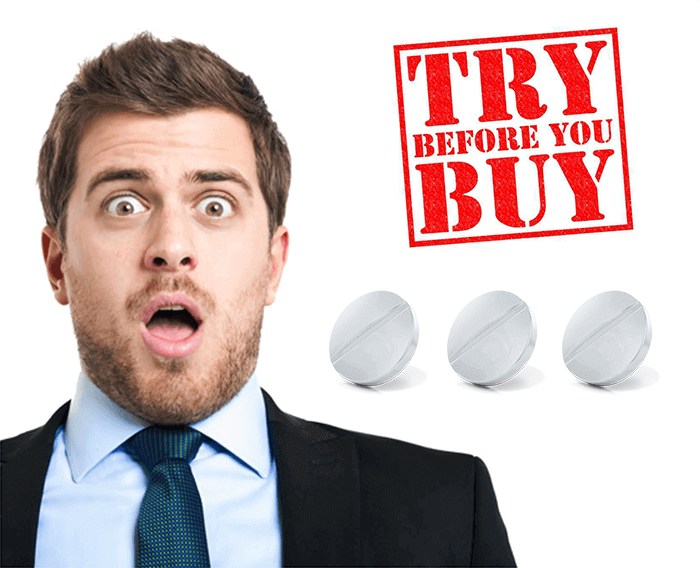 If you believe you or a loved one may have overdosed on Provigil, behavioral or invisible (unless specifically sought out) side effects on the brain may be a sign of a seriously bad reaction. A patient who has overdosed on Provigil can experience extreme behavioral side effects. These can range from restlessness or mania to hallucinations and disorientation. They may also have physical side effects. Chest pain or a decreased heartbeat are serious conditions. Milder ones may include diarrhea and/or nausea. 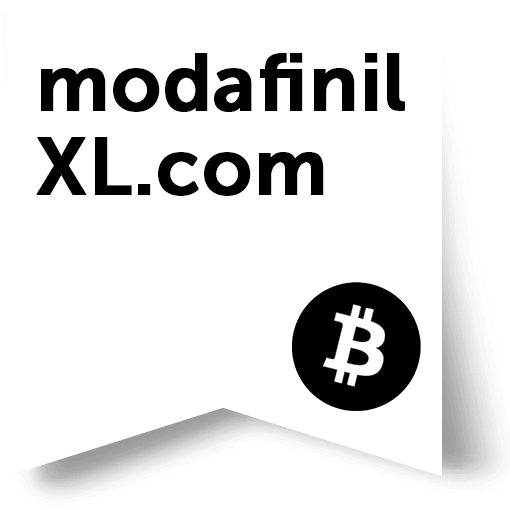 If you or someone you know has taken the max dosage more than once in less than a 24 hour period, or a high dosage exceeding prescription, contact a physician immediately. What If I Missed a Dose? If you miss a dose of Provigil, you may start having the same familiar side effects of your illness. You might think it is a good idea to take a max dose of the medication to make up for the missed one, but this could be dangerous. If you are planning to continue working for at least the next five hours, you can take your dose late, but just skip the dose if you will be going to bed in five hours or less after taking Provigil. In an official study, a vast range of side effects was recorded. These side effects can vary from person to person, and for some, they may not occur at all. If you experience side effects which severely affect your health or lifestyle, speak to your doctor about lowering your dose and ask if another drug treatment might be better. 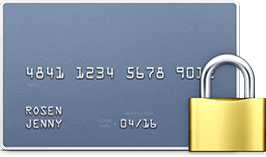 Generic options are available. Provigil may cause headaches, insomnia or dizziness; dry mouth or skin rash; and/or nausea or stomach upset. These side effects are relatively common. However, if the side effects start to make it hard for you to function and don’t subside, contact your doctor for a solution. Effects on the brain can be hard to detect until an accident occurs, so monitoring in the first few weeks is vital. Some other Provigil side effects may only occur for the first few weeks of treatment, and can disappear as your body adjusts to the drug. You might experience mild but annoying symptoms such as constipation or heartburn; loss of appetite, weight loss, or weight gain; mild depression or anxiety; flu-like symptoms, or muscle aches. Don’t panic; these effects are normal, and may not outweigh the benefits of the drug. If they persist, you can speak to your doctor. Major side effects to Provigil can be severe and outweigh the benefits of the drug. If you experience any of these side effects while taking Provigil, talk to your doctor immediately to discuss alternative medications and treatment plans. Provigil is not for everyone, and there are alternatives. anorexia or extreme weight loss. Anything else I Should Know About Provigil? For women taking hormonal birth controls, Provigil may put you at risk for accidental BC failure and pregnancy. While you are taking Provigil (and for one month after stopping the medication) implement alternate forms of BC to avoid pregnancy. If you take Provigil as a long-term drug, it is recommended that you find a reliable form of non-hormonal birth control, such as an IUD or a tubal ligation. If you are pregnant or plan on becoming pregnant while taking Provigil, talk to your doctor about these plans. It is currently undetermined if Provigil affects unborn or breastfeeding children, and your doctor will have suggestions and advice for you to minimize risks. Provigil should be stored in a dry location at room temperature. Keep Provigil out of the reach of children. Do not take Provigil if you are under the age of 17, have a history of heart attacks or heart-related issues, or are taking medication for mood disorder. There are more than 500 drugs that Provigil might interact with, so be sure to discuss your medications with your doctor before taking any form of modafinil, including generic types. Many of these interactions are minor or rare, but they can be dangerous. If you think that Provigil might have negative effects, call your doctor or make an appointment as soon as possible. It is impossible to determine how Provigil will affect you. Until you know exactly how your body will react while taking the medication, don’t drive a car or operate heavy equipment. There are no serious interactions between Provigil and food. Large meals can slow absorption, so if you eat a large meal before work take your pill a little earlier. Fatty foods exacerbate this issue, so be aware and adjust your medication time accordingly. Combating sleepiness and exhaustion with caffeine is common, but it is not recommended to take heavy doses of caffeine while taking Provigil. Provigil is designed to boost wakefulness, and other high-energy medications or drugs may intensify side effects and make you feel jittery or ill. Stay away from coffee, tea, and caffeinated soda, and avoid taking caffeine pills or energy drinks before or after taking your daily dose of Provigil. A double shot of espresso is inadvisable. Headaches, shakiness, and hyperactivity can appear quickly and become debilitating, so do not take these drugs together. Chocolate is also a source of caffeine, so avoid large amounts chocolate and dark chocolate. No official study has been done to determine the interactions between alcohol and Provigil. So far, reported interactions between the two are minimal. That said, avoid drinking alcohol and taking your dosage of Provigil within 8 hours of each other until you know exactly how it will affect you and your judgment. Most doctor recommend to not take alcohol with any prescription drugs, because your metabolism may have conflicting reactions. Some people have reported dizziness and blurred vision when alcohol and Provigil are taken at the different times of day, and these side effects are reportedly intensified when the two are combined in less than a 4 hour time span, with severe indicators of a bad interaction such as nausea and vomiting. The effectiveness of Provigil is not guaranteed if you consume alcohol before or after administration of the drug. 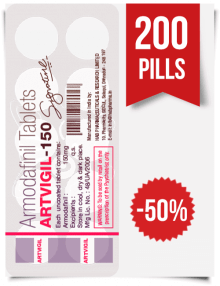 Many other drugs like Armodafinil have interactions with Provigil. These are usually mild, but certain classes of drugs can have severe and inadvisable side effects. Such drugs include pain killers such as hydrocodone and oxycodone as well as Fentanyl, so speak to your doctor if you are currently on any strong painkillers that could cause a bad reaction. Antibiotics have also been shown to cause major interactions, so ask your doctor for advice if you need to begin taking antibiotics. Do not begin taking Provigil and do not let anyone in your circle of family and friends begin taking Provigil without a prescription and a visit with a licensed physician. Always bring a complete list of all your medications to your doctor, and discuss all of your options before adding a new medication. While there are not many other prescribed uses for Provigil aside from sleep disorders such as narcolepsy and sleep apnea, some research has been done into the efficacy of the drug for other uses. Modanifil is also used for ADHD as an off-label use. Talk to your doctor before using Provigil for ADHD. Remember this drug shows up on a drug test and you will need to explain why you take it and have a doctor back you up. Do not rely on Provigil as a treatment option for off-label use until you have spoken with your physician, and be sure to explore all possible options before taking any medication, especially those that affect wakefulness. So, are you ready to become the best you? Come and try free Provigil samples!